Just a stone's throw from the rolling hills of the Cotswolds, this hotel invites you to come and make yourself at home! Located in the plush, green landscape of Oxfordshire, this hotel has an abundance of natural beauty for you to explore in its grounds, including secret gardens and deep woodlands to have a wander in. Outside, you can indulge in some retail therapy at the Bicester Shopping Village, featuring chic designer outlets so you can live the life of luxury. 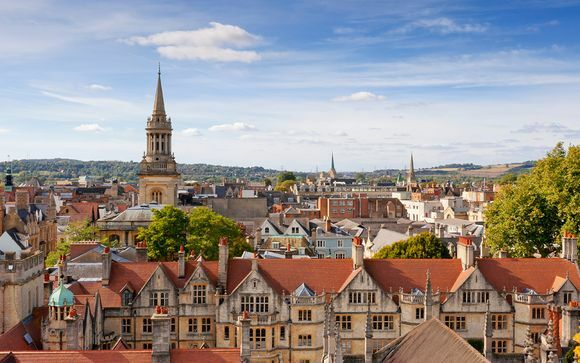 As you're in the heart of England, the Oxfordshire Cotswolds is a necessary destination due to its rich heritage and scenic appearance. Charming market towns, award-winning pubs and restaurants, and a luring array of independent shops is certainly enough to want to visit this classic English countryside location. Make sure you go to Blenheim Palace for a real historical day out. This 900-year-old charming country house has a fascinating history and grand, traditional rooms to show for it. Outside is awash with blossoming, green grounds, offering inspirational views from the hotel's terrace. It comes with a gourmet restaurant, so you're sure to dine in luxury, a high-class bar, complete with local choices, a charming morning room for you to relax in, as well as its very own pool! With a history spanning 900 years, Weston Manor dates back to the Doomsday Book. And one of its owners in the 16th century, Sir Henry Norreys, was an instrumental figure in Hilary Mantel’s Booker Prize-winning novels Wolf Hall and Bring Up the Bodies. 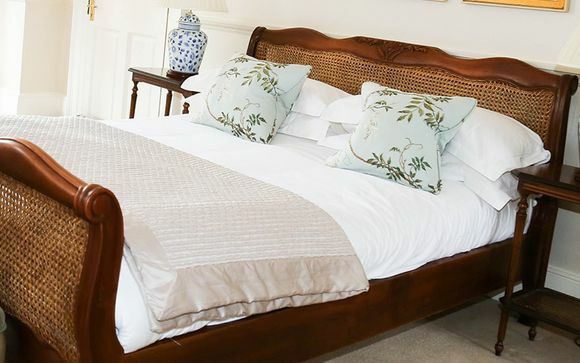 All bedrooms have been lovingly furnished and decorated - the hotel have selected the finest bed linen, pillows and beds to ensure you have a night of sweet dreams. Enjoy a range of luxury bath & body goodies, and wrap up in a fluffy dressing gown. Just for you: Dinner on the first night, bottle of Prosecco. This carefully restored 11th century hall offers a truly unique dining experience with its 5 course tasting menu, changed daily, or a full a la carte menu with an extensive wine list. Named after one of the hotel's most famous owners, Bertie's Bar offers a wide range of choices, including local cider, draught ales, whiskies, Cognacs and Armagnacs. With a warm, ambient atmosphere, the bar's design has references to polo and horsemanship, reflecting its gentrified history. This beautifully designed Georgian room was added in the 18th century, and remains the perfect place to enjoy a refreshing afternoon tea, or a bubbly glass of champagne before dinner, whilst looking out onto the hotel's beautiful gardens. Enjoy your food in the warming sunshine with a view of the open grounds on the hotel's terrace, where you can relax with a drink, light lunch or snack - simply choose from the full menu of local delicacies. Make the most of the English weather by taking a dip in the hotel's very own pool. Why not order a drink or food if you get peckish, as the staff will be there to serve you, addressing your every need. - Exit at Junction 9 and take the A34 towards Oxford. - Take the first exit from the A34, sign-posted Middleton Stony. - Follow the road over the A34 and turn right at the mini roundabout, into Weston on the Green (B430). Weston Manor Hotel is approximately 300 yards along the road on the left hand side. - Using the A34 from Oxford, heading towards the M40 take the last exit before M40 signposted Middleton Stony and Weston-on-the-Green (B430) just after the little chef and BP Garage on the left. - Once on the B430 continue over the mini roundabout and Weston Manor Hotel is 300 yards along the road on the left hand side. - Distance from Oxford City centre (7miles) 20 minutes. - Distance from Bicester Village outlet centre (4.5 miles) 6 minutes. Your contract will be with the provider of the accommodation and not Voyage Prive. Voyage Prive acts only as agent for the accommodation provider. Please read our booking conditions before confirming your holiday.